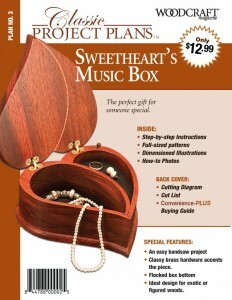 Purchasable plans to make a music box. 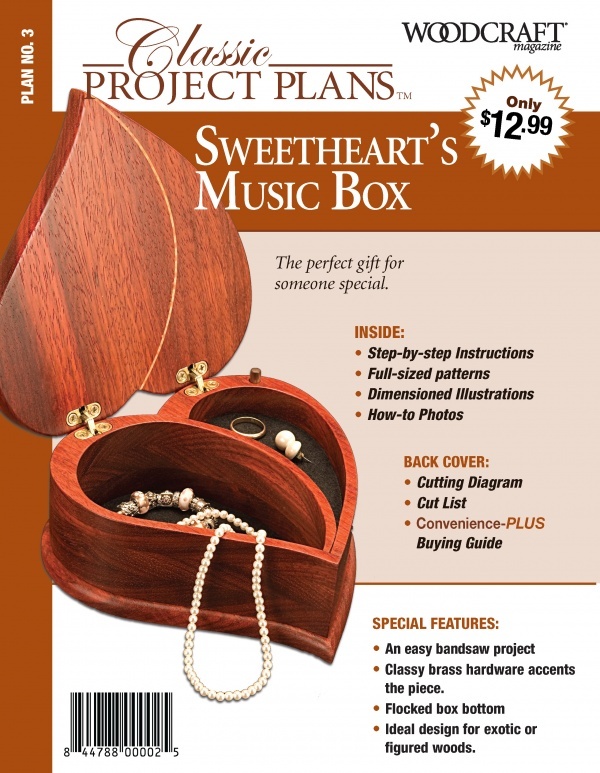 Valentine’s Day is just a scant two weeks away, which gives the motivated, attached woodworker just enough time to whip off a simple gift for the loved one. Bigger projects may have to be marked for 2012. For the unimaginative, Frank over at the Woodcraft blog put together this helpful Valentines Day guide, complete with images of Tommy’s nuptials and pictures of gifts he’s made for his wife Rachel over the years. Get after it, love-bugs! Nothing says “I Love You” like something hand-made. Even if that hand-made something is purchased by you.